Check out this generous offer from Aveda and Marie Claire! Take this printable coupon to your local Aveda Hair Salon and you will get a FREE 3 piece sample pack. 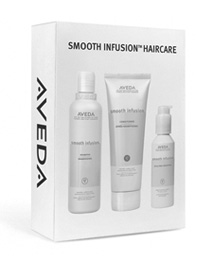 This sample pack includes a Smooth Infusion Shampoo, Conditioner, and Style-Prep Smoother. You have until 12/31 to take advantage of this offer.